wcf.codeplex.com is the place where most of the wcf action happens at these days. 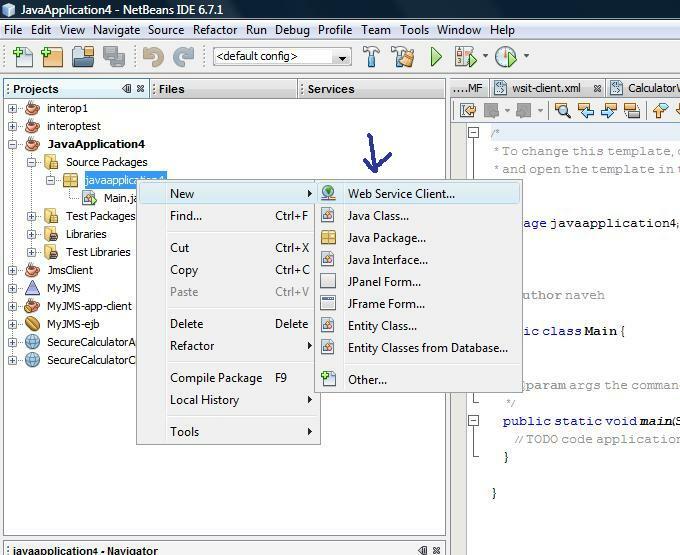 If you have been following it recently you have seen a lot of activity around Rest and Http. 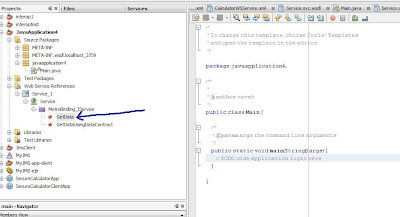 As of yesterday Soap officially joins the codepex party. Microsoft has just released the WCF Express Interop Bindings - a new Visual Studio extension for Soap web services interoperability. If you use Wcf this matters to you! What did Microsoft release yesterday? Web services interoperability is always a pain. When security is involved it is usualy more then a casual 'oouch'. Yes, WsHttpBinding has a specific permutation of settings which can interoperate with Oracle web logic. And I know a lot of people who have tried to find that permutation in a brute force manner. Mostly doing this is a waste of time which we prefer to invest in more productive areas. 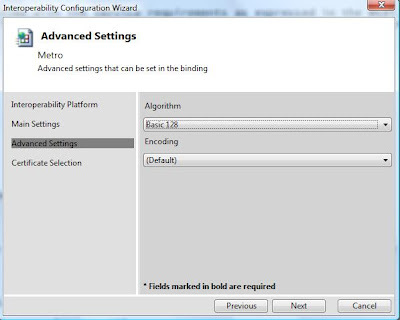 So here's the idea behind yesterday's shipping: We now have a new binding, WebLogicBinding, which only allow us to configure settings which are interoperable with web logic. So all settings are interoperable! 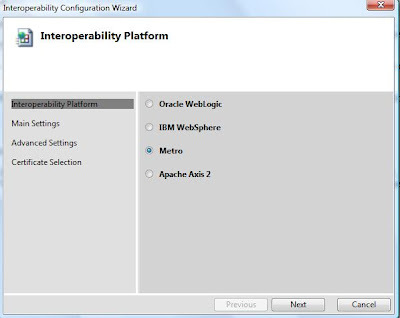 We also have bindings for web sphere, axis2 (wso2) and metro (wsit / glassfigh / tango). In addition we got a nice wizard on top of Visual Studio's new project dialog which allows us to easily author interoperable services using these bindings. But don't we already have WS-Policy for interoperability? 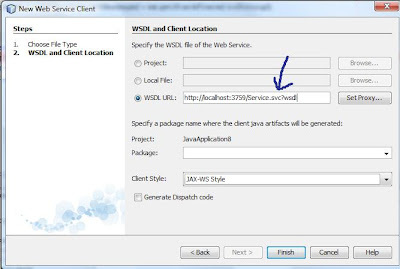 WS-Policy helps clients to generate proxies which complies with the service requirements as expressed by the Wsdl. 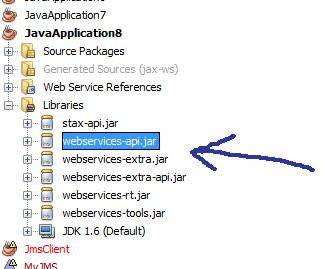 The express bindings solves a prior problem: How to write from the first place a service which a specific client platform can support? 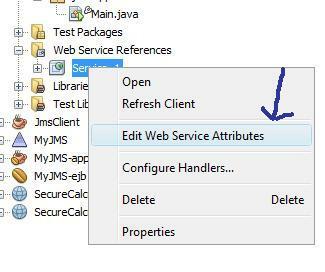 Once we write such a service its Wsdl will contain the WS-Policy pixy dust so that the client can auto-configure itself. You can take four: MetroBinding, WebSphereBinding, WebLogicBinding and Wso2InteropBinding. Let's see why web services interoperability just got a whole lot easier. 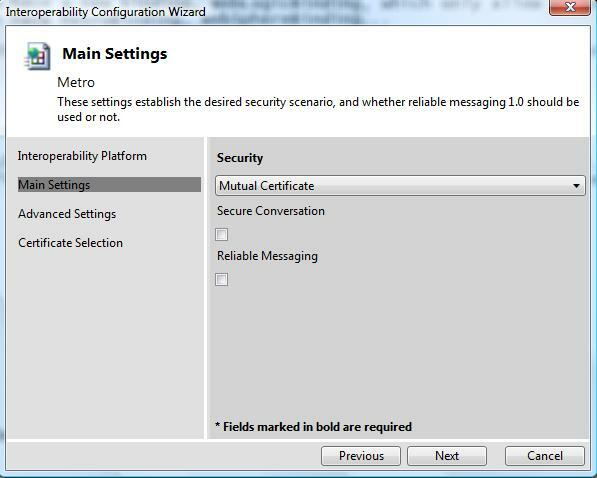 We'll create a WCF service with mutual x.509 certificates in the message level and consume it with a Metro client. 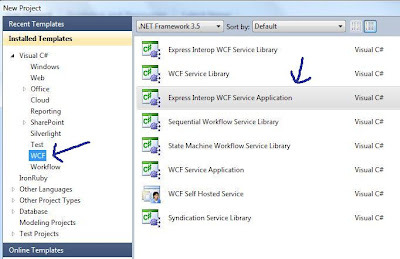 You need VS 2010 and the express bindings. 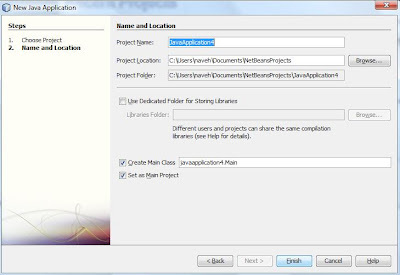 After you extract the bindings zip simply execute bin\Microsoft.ServiceModel.Interop.Extension.vsix which will install it on VS.
A few moments after creating the project you will see the wizard. First choose the platform our clients will use - Metro, this time. 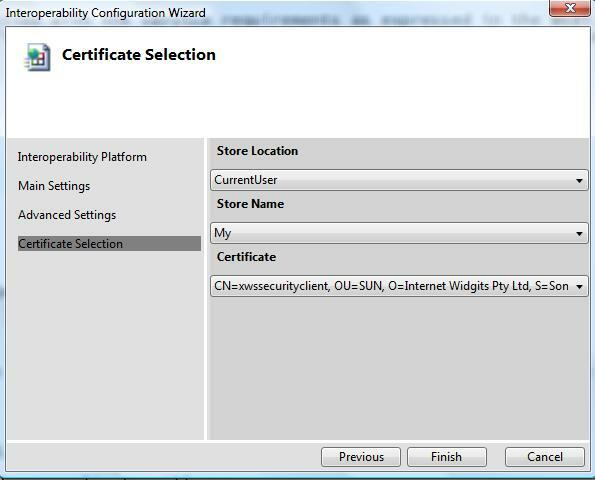 Now we need to configure our security requirements. Choose "mutual certificate" which means both client and server will present an x.509 certificate in the message level. It also implies encryption and digital signature (in this case). To keep it simple we omit the secure conversation. 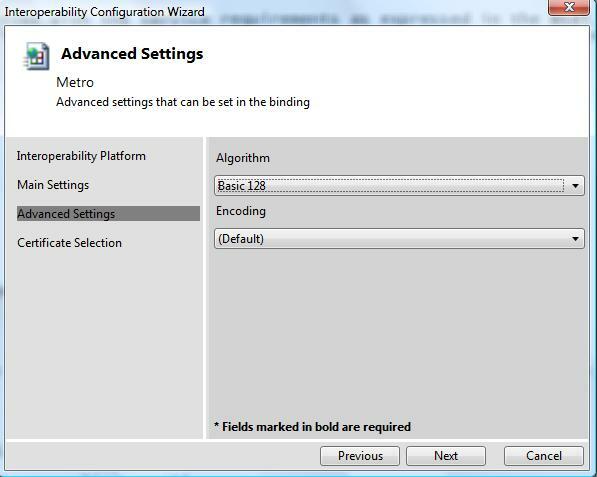 Next in the advanced settings use the Basic128 algorithm since it is the one Metro supports by default (for Basic256 a patch needs to be applied). Now run the service. 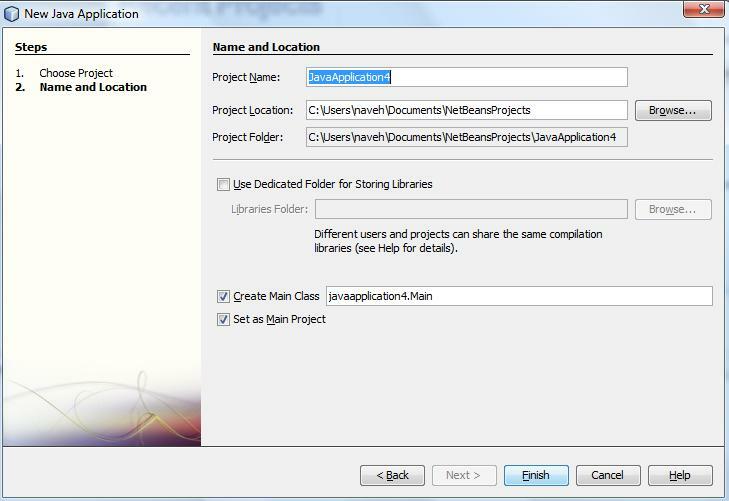 This is a web site project so it will open the documentation page with the Wsdl link. 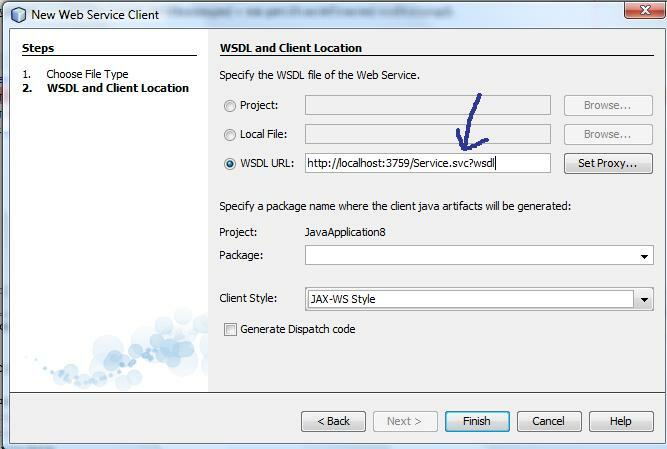 Make sure to have the Wsdl url handy since we will use it in a moment. 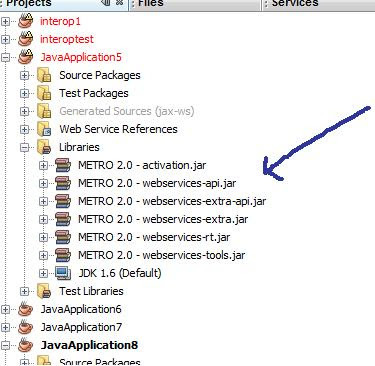 Now we want to configure Metro. 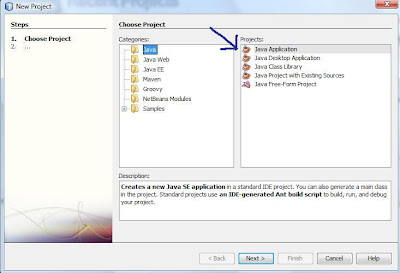 You should have NetBeans 7 (or higher), though NetBeans 6.7 also worked for me. 5. 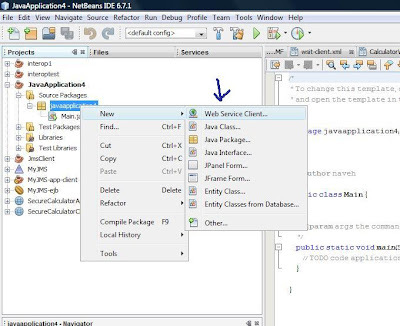 This step is a workaround if your NetBeans version ships with Metro 2.0 (which is the case for NetBeans 7). See below how to know if you need it. 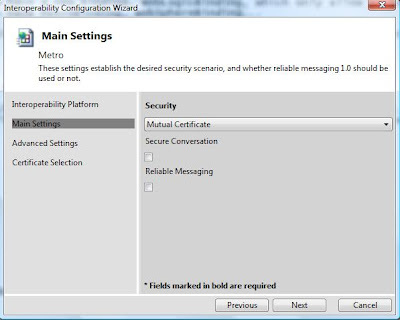 We can see that Metro had automatically identified that client and server certificates are required. This was due to the WS-Policy in the Wsdl. To solve this you need to download Metro 2.1 (or higher). For now just extract it to some folder. 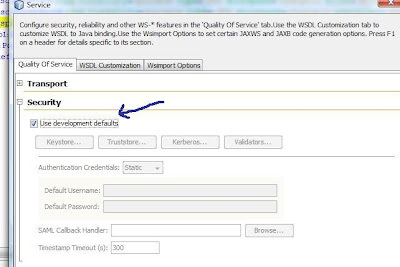 Now as part of this workaround check the "use development defaults" drop down in the quality attributes dialog you opened in step 4. Also approve any message you are prompt with. 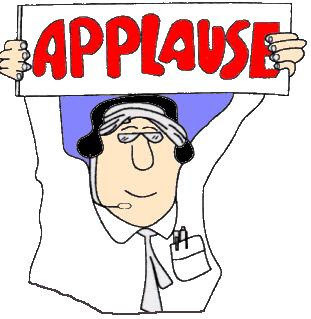 Open "keystore..." and "Truststore.." each in its turn and do the below. 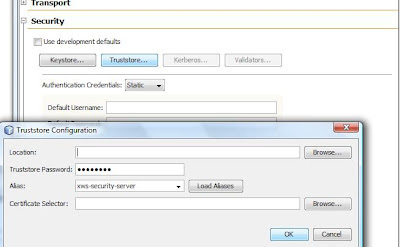 Set the path to the .jks file you extracted form the certificates file above, set the password to "adminadmin", and click "load alias". 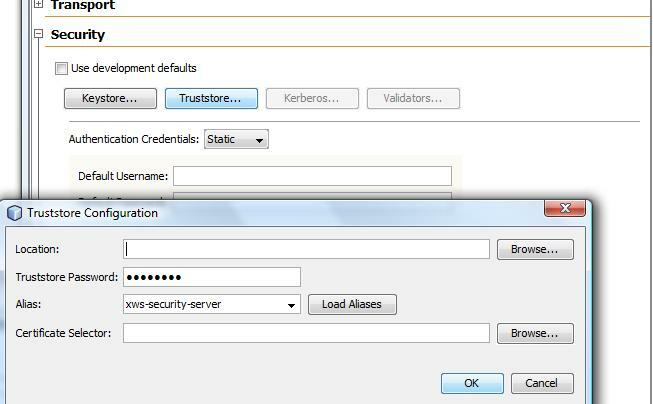 The alias for the key store is xws-security-client and for the trust store is xws-security-server. 7. Now we need to write the client code. 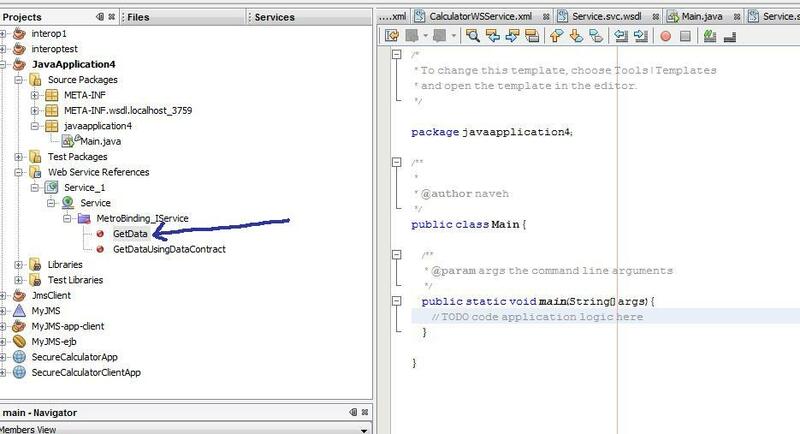 Since most of my readers are .Net developers let's see if we can pull this one out without any Java coding at all. 7. 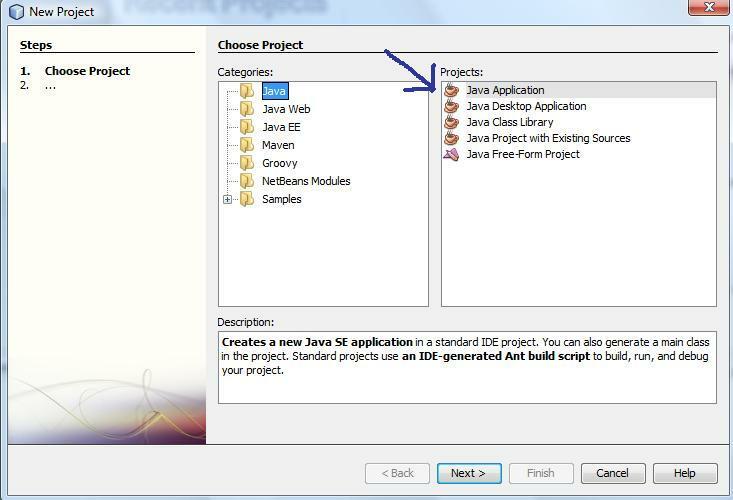 Now run the application (F6). 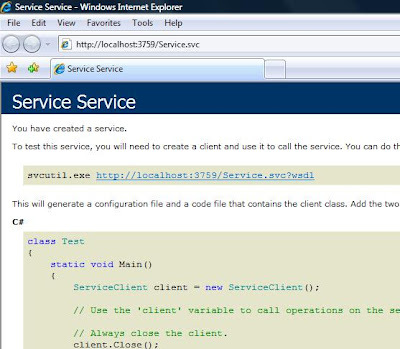 Web services interoperability was never easier!